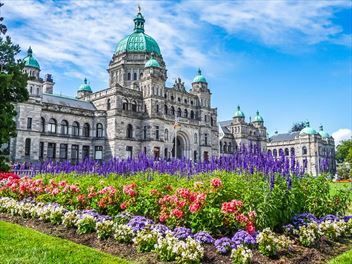 This is a suggested British Columbia fly-drive itinerary, starting and ending in Victoria (or Vancouver if you’d prefer). 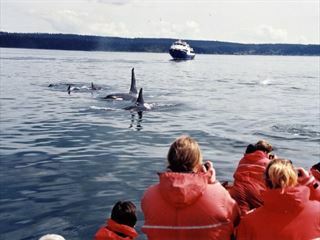 Explore the beautiful Vancouver Island coastline, enjoying the many beaches and choosing from a variety of wildlife spotting excursions on land and sea. 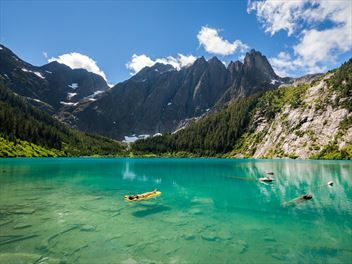 A tailormade flydrive itinerary, starting and ending in Vancouver, crossing the strait to Vancouver Island and driving north into the British Columbia wilderness. 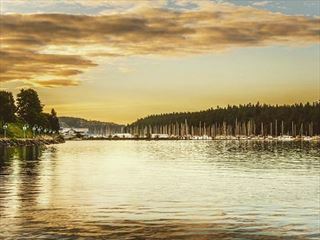 You will discover the fascinating history of the First Nations and experience the unique beauty of the BC coastline. 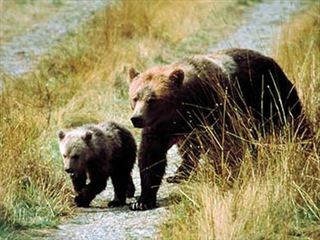 A family holiday that will be talked about for years, with amazing bear watching and whale watching excursions included. 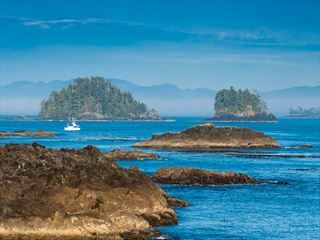 With stays in Vancouver, Victoria and Tofino, there is something for all ages on this trip. 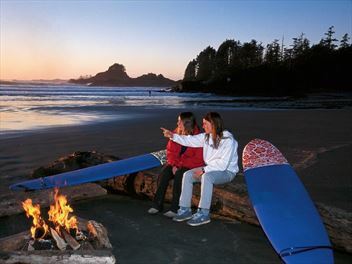 Enjoy the freedom a motorhome holiday touring Vancouver Island, exploring deserted beaches and wild landscapes. 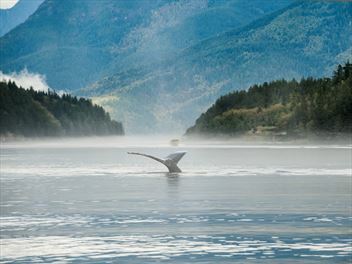 Go whale spotting, savour the seafood and admire the stunning scenery. Perhaps add this to another itinerary taking in the National Parks of Jasper and Banff. 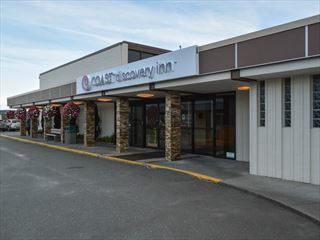 The Coast Discovery Inn is set in the heart of Campbell River, a gorgeous coastal city locatedalong theeast coast of Vancouver Island. 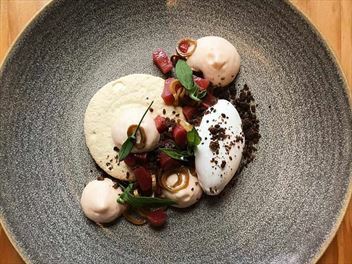 This charming property offers stunning views, and is in the perfect location to explore the city’s cosy boutiques and sublime entertainment district, as well as it's abundance of stunning natural beauty and rare wildlife. 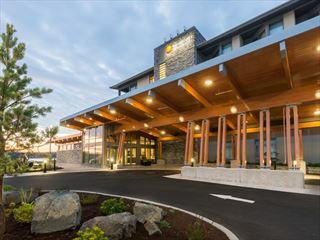 Set along the waterfront in Campbell River’s downtown area, the Comfort Inn & Suites boasts a beautiful location. 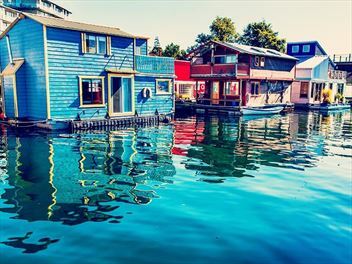 No matter what your interests are, this hotel is in the perfect spot to explore the city’s sights and attractions, whilst also being able to immerse in BC’s stunning natural scenery. 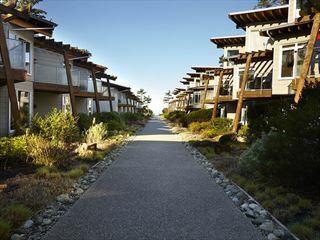 This is the perfect resort for laidback adventurers looking to spend some time surfing, scenic beach and woodland walks, and relaxing by a campfire in the evenings. Located on the famous surfer paradise Cox Bay, this is a truly relaxed insight into beachside living. A relaxed flydrive itinerary allowing you to discover the coastline of Vancouver Island in British Columbia. 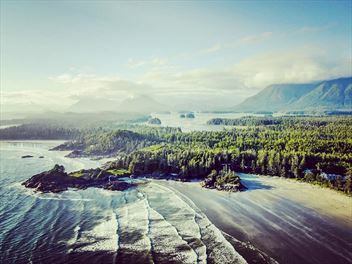 Stay in lovely seaside resorts, go surfing in Tofino, hike beautiful coastal trails and enjoy a whale and wildlife watching cruise. This short tour begins and ends in Vancouver, and can be added to a longer stay in Vancouver or tour of the Rockies. 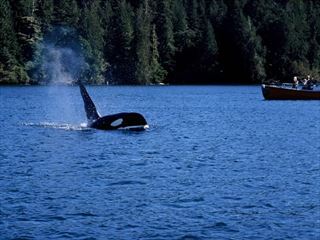 Enjoy whale-watching from Victoria and bear watching on a boat tour from Tofino on the Pacific Coast of Vancouver Island.